There was a time when brooches were high-end fashion accessories, and the piece you wore that day defined you based on the amount of bling, the design itself, and how big it was. I consider them to be the Rolex for classy and vintage-loving women. Although I wouldn't consider myself well versed in fashion of any time period but what I like in present time, I'm not a fan of brooches. There's plenty of pretty and fashionable and relevant designs out there that any women would look good in, but I find them as a whole dated. My grandmother's collection was extensive, so when I brought a few gorgeous pieces home I had to figure out what the heck to do with them. I'm not going to wear 'em, and placing them on a bag like a piece of flair makes me nervous that I'd loose or damage them. So what did I do? 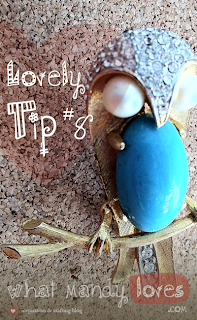 Use brooches as pushpins on your office or home bulletin board. Think about it: they've got pins on the back of 'em, they look interesting, and most of 'em aren't heavy. They're perfect pushpins! 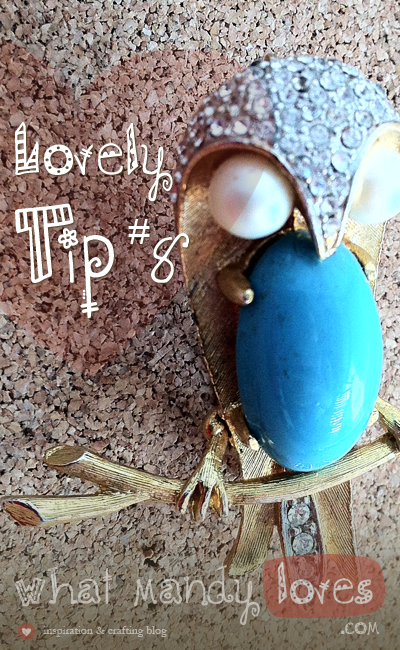 Fancy up your notes and reminders with a rhinestone owl and a golden fly as I did and they'll catch your eye. And it's a way to show off your awesome brooch collection with minimal risk to the brooches themselves (don't push them in too far or too hard). 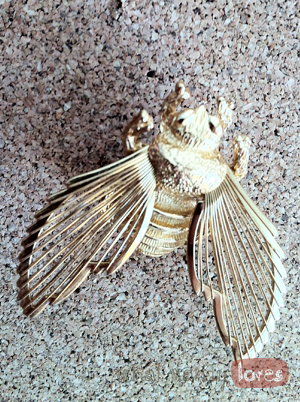 How do you show off your brooches? What are your alternatives to boring old pushpins? Let me know in the comments.